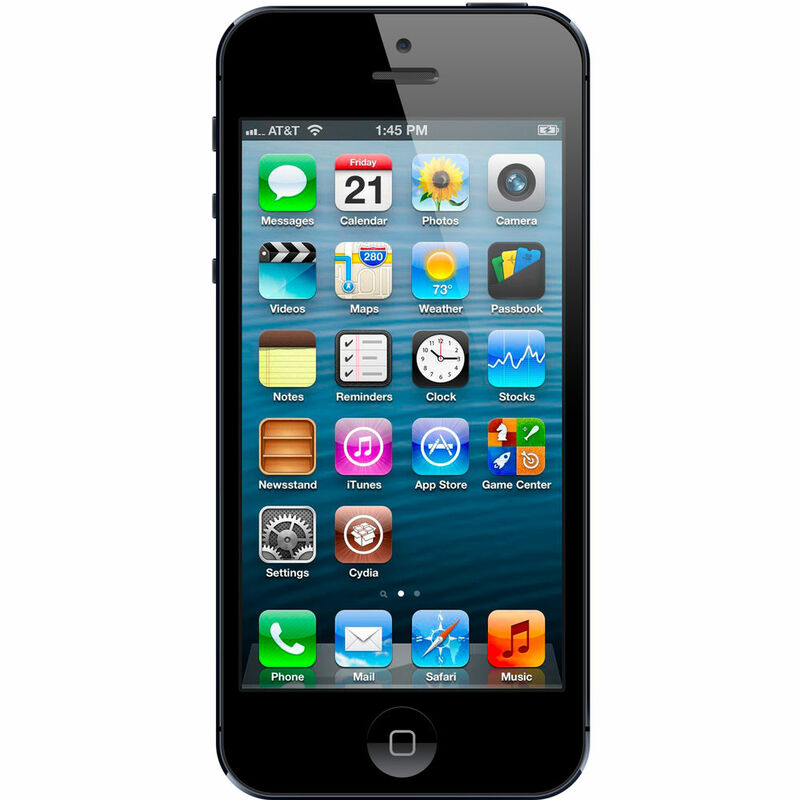 The Apple iPhone 5 is entrenched with the finest and most excellent technology, which will appeal to any tech savvy person. 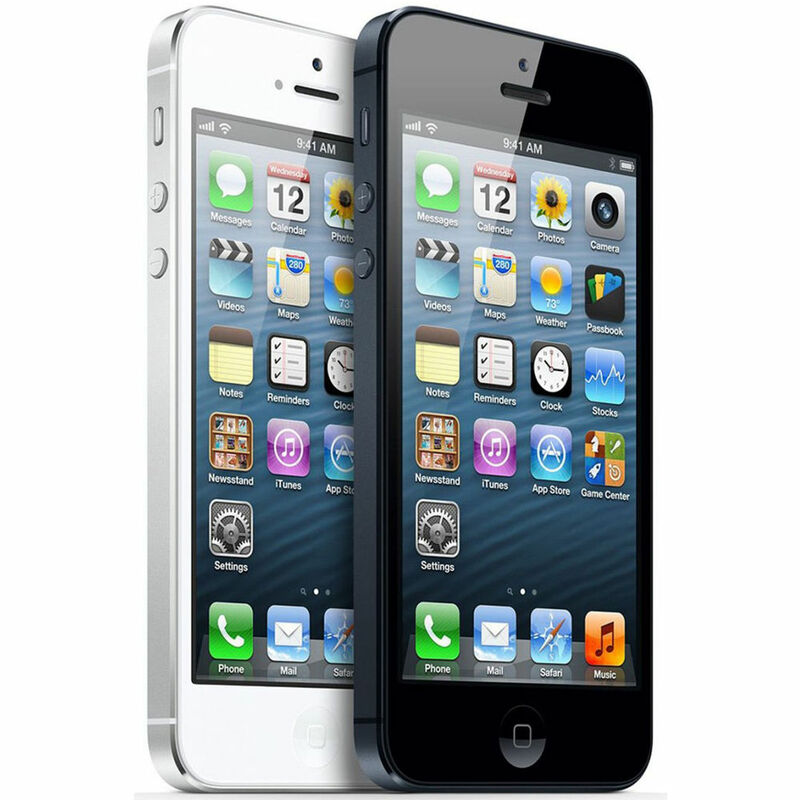 The Apple iPhone 5 is embedded with the latest technologies and is the far most the best iPhone created ever. 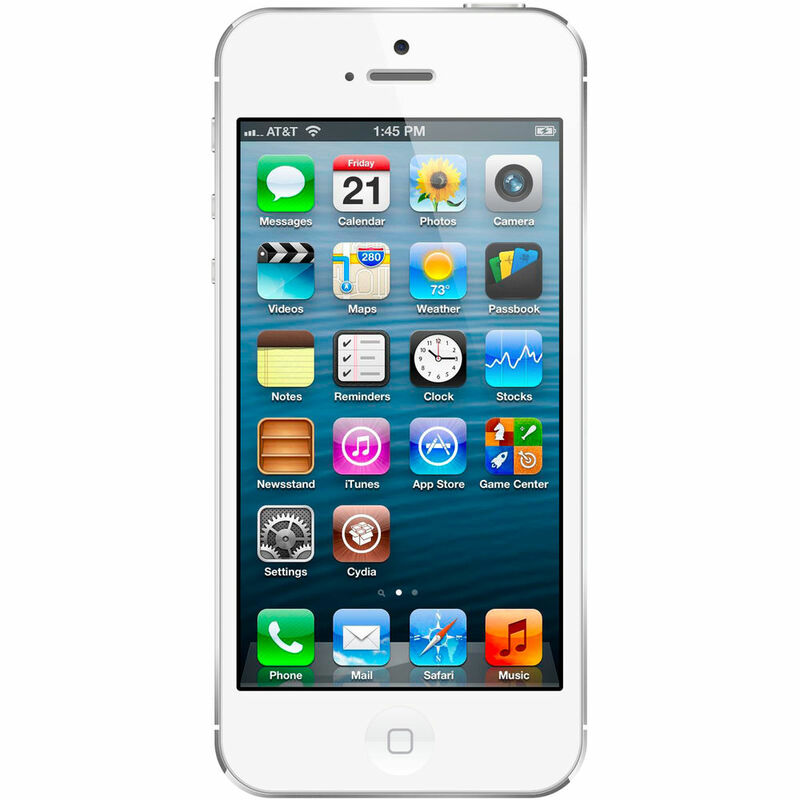 The Apple iPhone is Smarter, Lighter and has much more features, apps, etc. than before. An iPhone created beyond imaginations! Fingertips being a unique part of our body our ears have a specialty and are unique too. They have not only taking into consideration about the comfort level one would require while using them but this time acoustics was also one point they considered. A special target point has been established for these Apple ear pods. These are specially created ear pods that fit very comfortably in any ear and give the best sound output. The Apple acousticians designed it in a way that there is less of sound loss and more of sound output. There is a special vent placed in the stem of the ear pod that allows air to move in and out giver clearer, louder and better music to your ears. Apple iPhone has invented a new way to connect the charger or the cable to the phone. NO correct or wrong side of connecting the pin, its reversible and can be connected anyways. With the size and the thinness of the phone being decreased they invented this lightning connector that features an eight signal design and is more durable than a 30-pin connector. Making a new design meant developing a new technology for it. And Apple did that very well. 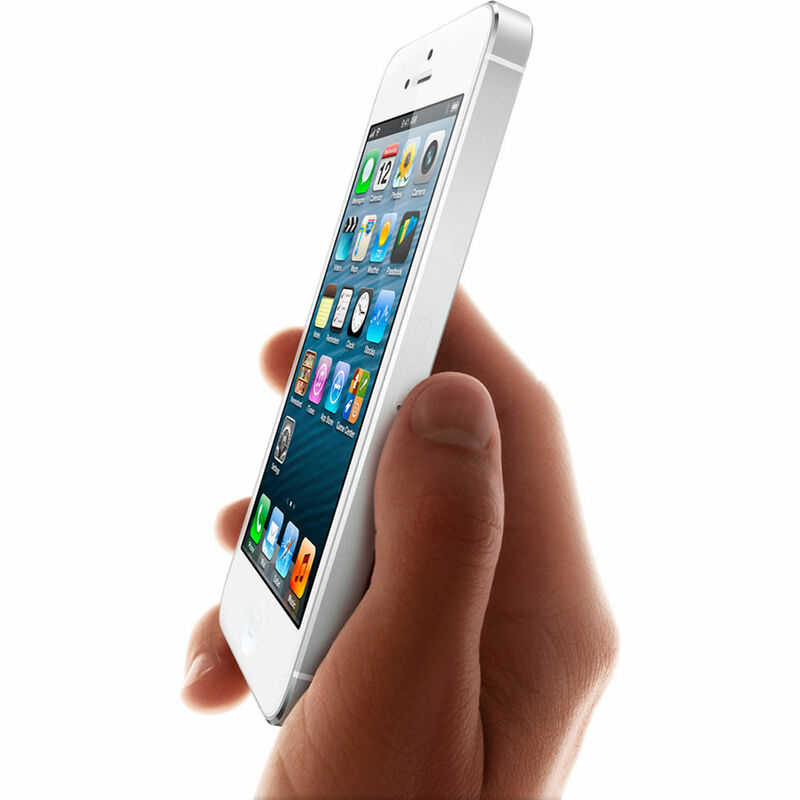 The iPhone 5 has design that was the thinnest, fastest and above all the lightest. It has been built with 18% thinner, 20% lighter and 12% lesser volume than iPhone 4S without sacrificing on the previous features and adding new ones too. This is the thinnest display they made ever before with any other iPhones. Discover, explore and experience the world of Apple on the 4” widescreen multi-touch retina display screen. Now you can add more applications on your homescreen, and also see each and every one in detail. The screen is protected from finger print marks; as it comes with a fingerprint resistant oleophobic coating. This phone has a resolution of 1136x640, contrast ratio 800:1 and 500 cd/m2 max brightness which result not only in excellent clarity but at the same time it gives a lot of comfort to your eyes. With an iPhone that is light and slim gives good battery backup makes you happy enough, but a quick and speedy data connection is also important. It has in built LTE that helps in fast and speedy connections. Its next generation wireless connection is just awesome. This exclusive phone supports other networks too across the globe such as HSPA, HSPA and DC-HSPDA. Now browsing the net, downloading data, and streaming the content at ultrafast speed. Its Dual – Band 802.11n hastens the Wi-FI experience all together with a speed of 150mbps. The latest A6 chip brings the world of communication through internet to your feet. It has two times faster speed compared to A5 chip. Thus launching Apps, downloading from the web, reading email attachments all of it is done with a blink of an eye. You don’t need to wait any longer for an attachment to open or download something. Enjoy the speed, enjoy browsing! 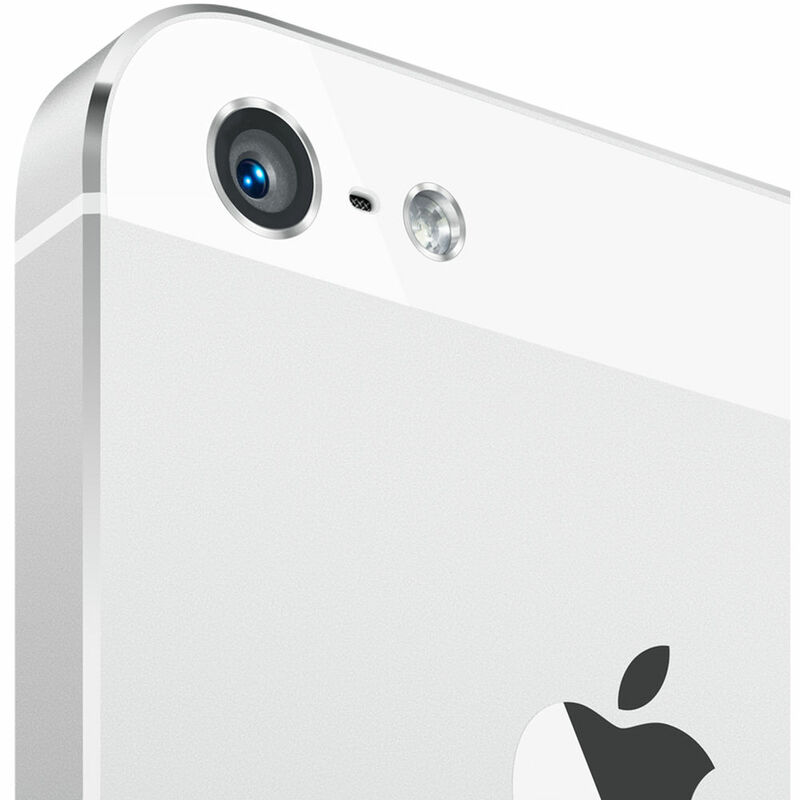 The iO6 is the foundation of this iPhone. It is because of this that you are able to use the built-in Apps and the instinctive technology used in our day to day life like – Mutli-touch, Siri, etc. the iO6 already comes installed in iPhone 5 which makes your day to day work much better as it has more than 200 features installed with it. The new iSight 8MP camera is upgraded with the improved HDR that gives better colour and tones to pictures and reduces the blurred motions. With less light also it is capable of capturing beautiful pictures. Its Panorama features you can capture more of what you see. All you need to do is start to shoot and then move your camera to the scene to 240 degrees. With the help of the gyroscope, Camera app and A6 chip you can create one picture perfect giving a resolution of upto 28 MP. You can edit the captured picture all on your own and then you can share them with your family, friends and all you want to share with. With the 1080p HD do video recording that gives much clear videos and the best output. You get brighter videos with the help of the backside illumination sensor that let in more light. You can also take photos while taking videos, which is a special element of the Camera. You can even edit the videos and remove the portion you don’t wvant. And then you can share the videos much faster. With any Apple device, the world’s at your feet. The phone comes loaded with many applications and you can always get more from the Apple store. Your wish is Siri’s command! Yes, that’s true! Siri, an iPhone application, you just have to speak your mind to it and your work will be done. If you want to text your best friend, you just have to say it. If you are looking for cinema near your current location, you just have to ask for the same, and Siri your personal assistant will find the right application and give you the result. 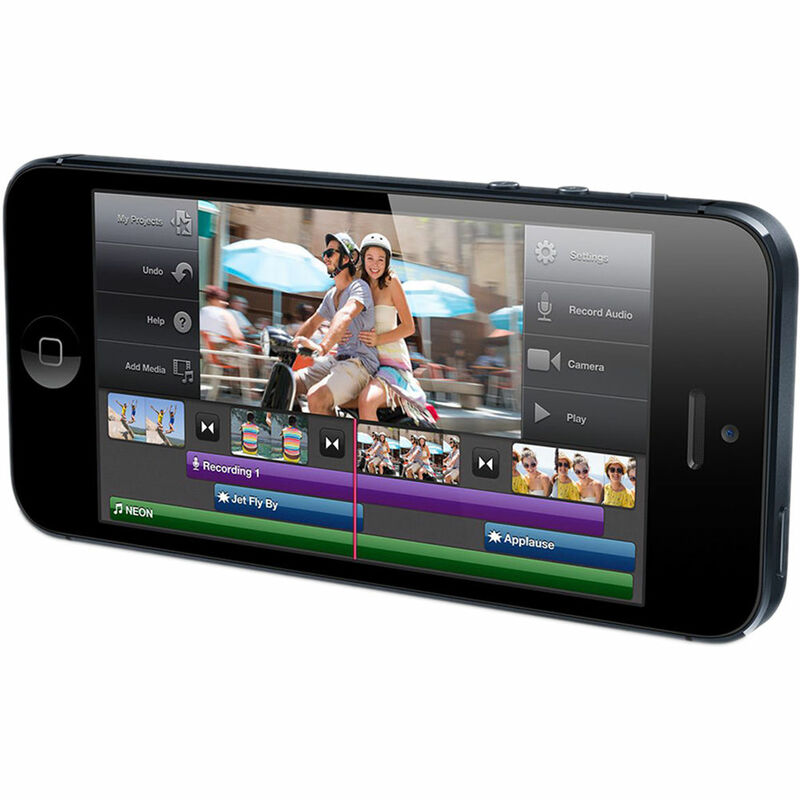 One can store movies, music, video and photos on this iPhone; as it has 64GB memory capacity. When the lithium-polymer battery is fully charged you can use the Apple iPhone 5 up to 8 hoursand it has a standby time of approx 225 hours. The Passbook application, a place and time based application, keeps all your gift cards, passes, tickets in one place. If you are at the airport, it will show up your vticket and as your pass through the security proceeding towards your flight, the iPhone will display your boarding pass for you. Chat with your friends face to face. With the help of Face time on the new Apple iPhone you can do video calling to other iPhones, iPads, etc, with the Wi-Fi connection. You just need to find the contact you want to do video calling with then tap on Face time or you can ask Siri to do this for you and talk to the person face to face. 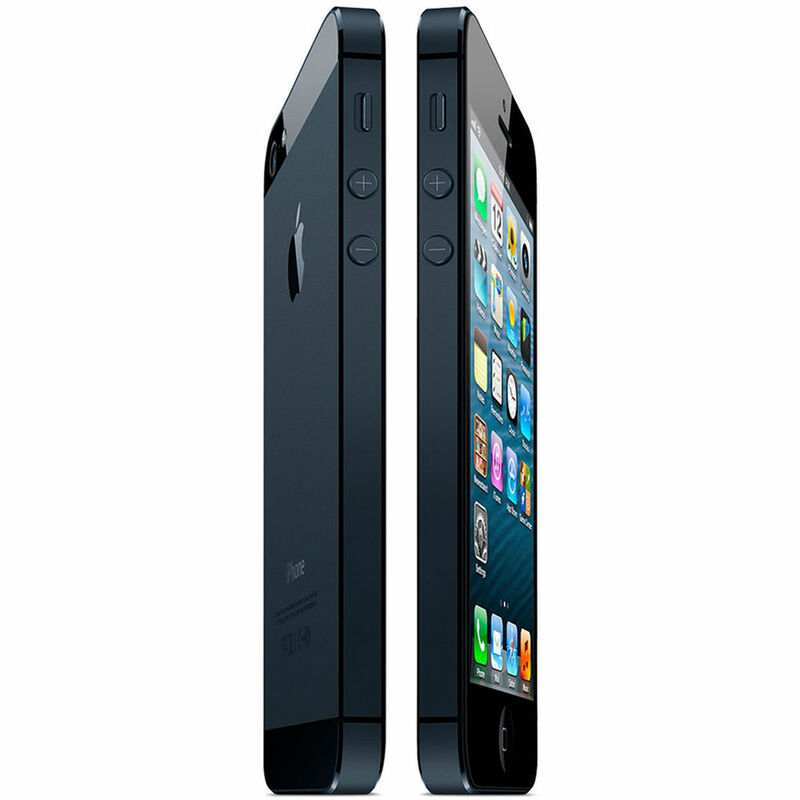 iPhone is on the top of my wishlist for this year and I’m ecstatic that is now iPhone 5 is available here. 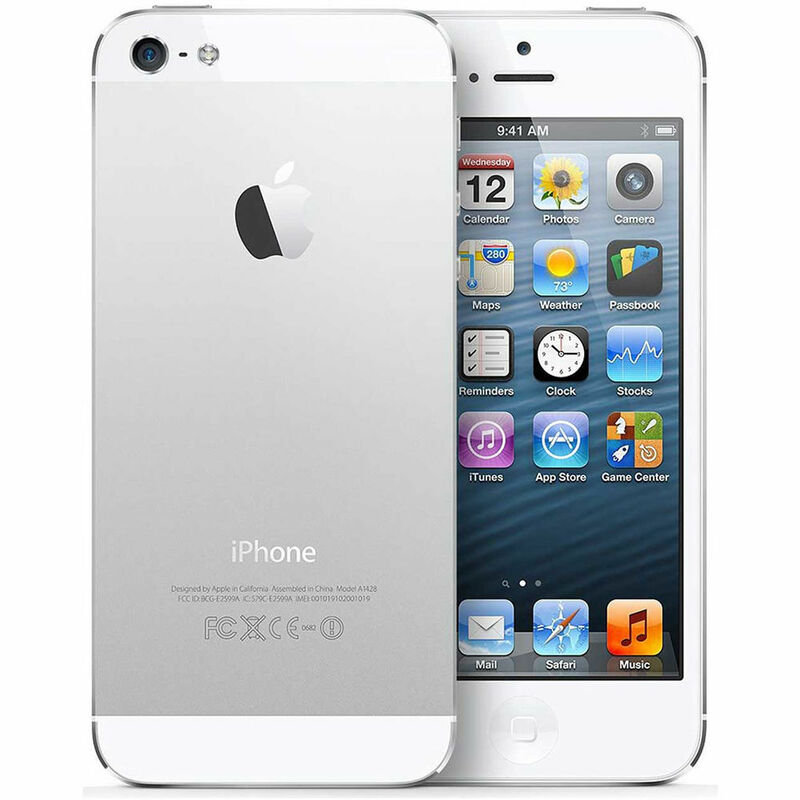 Have already booked my iPhone 5 from infibeam and just waiting for its arrival. My iPhone 5 is my personal P.C. anywhere and everywhere I go. With its amazing 64 GB memory I have all my important data stored in it as well as all my contacts details. It is a unique P.C. phone and I love it. Having an iPhone makes me feel like ‘holding my world in my hands!’ Especially with its 64 GB space, I can easily carry all my project files, folders, entire music collection & games with me. 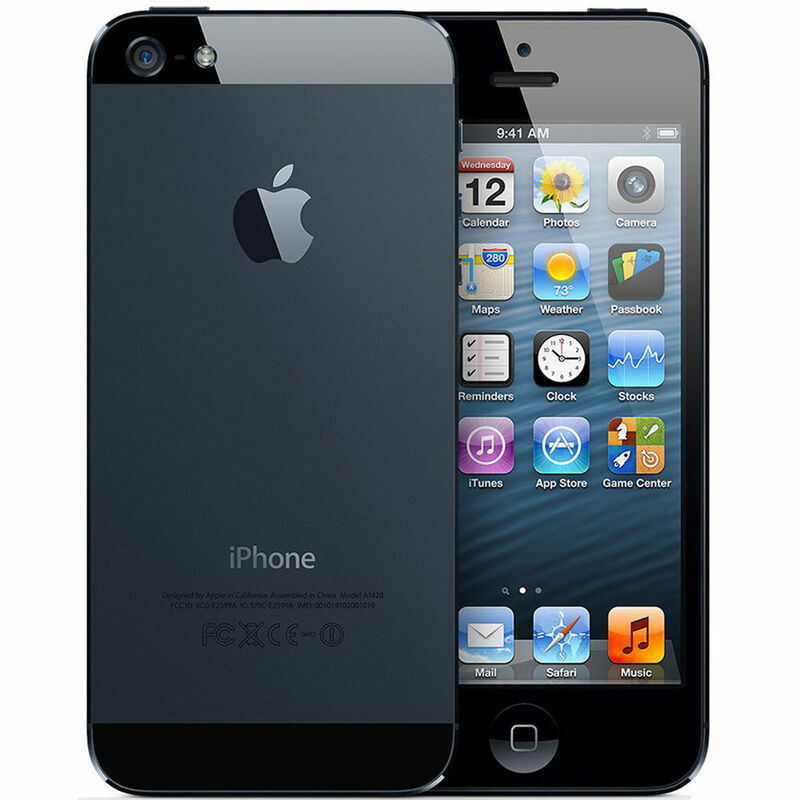 I’m waiting for the arrival of my iPhone 5 earnestly so that I can take my world with me wherever I go…. 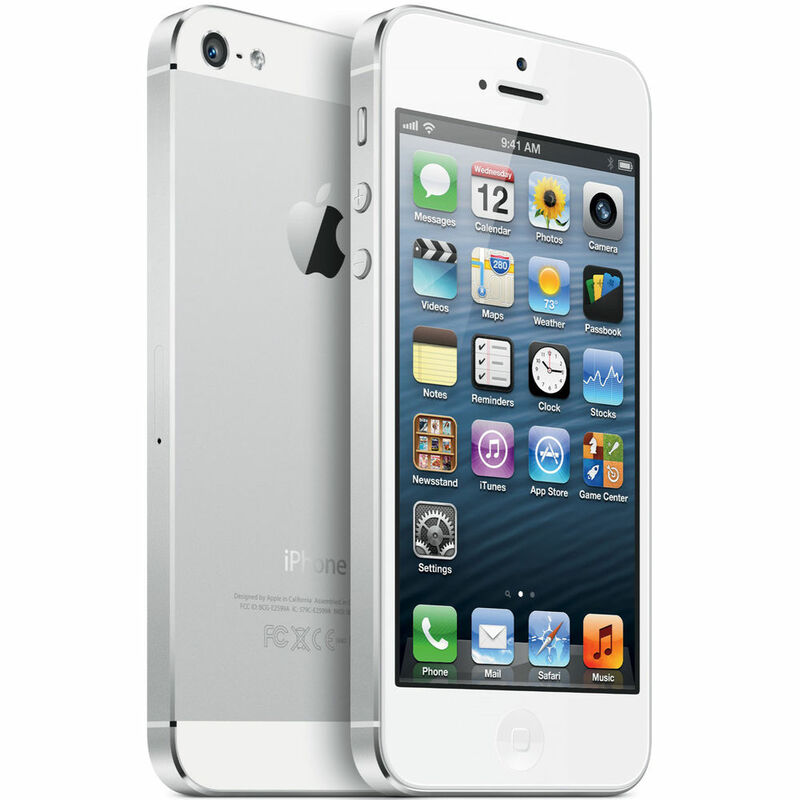 iPhone5 is Apple’s best so far with amazing 326 ppi pixel density in a 4 inch retina display screen. Now the view of photos, videos and even games in much better with vivid colors. I am totally stumped by its light weight, faster OS larger screen and 64 GB space for storing all my data, designs, music, games and much more- an ideal combo for a Smartphone.